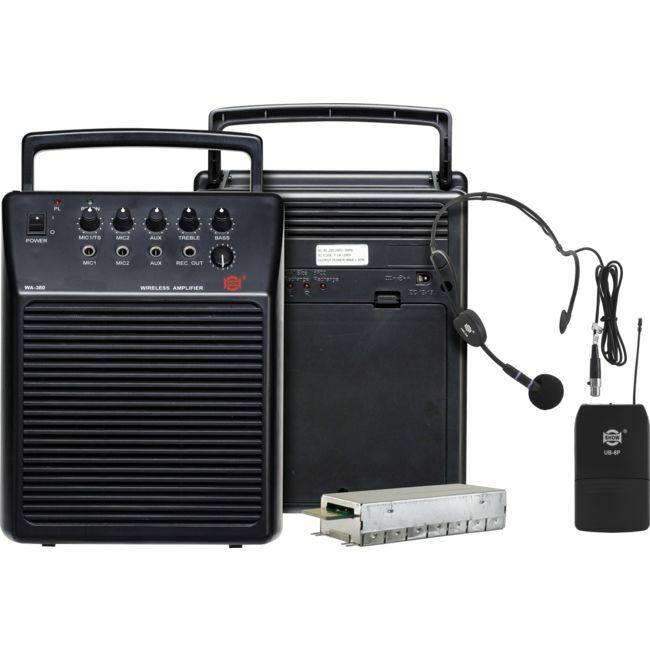 This UHF portable PA system comes with headset type microphone. Mic.1 input could be automatically switched to wire and wireless mic. Battery-rechargeable function for hand-held/ bodypack mic. Receiving mode : PLL UHF SYNTHESIZED? Rec. Output :REC. OUT/ 280mA/ unblanced?